By Alan Green in ECR Minerals (ECR), Uncategorized on 5th September 2018 . 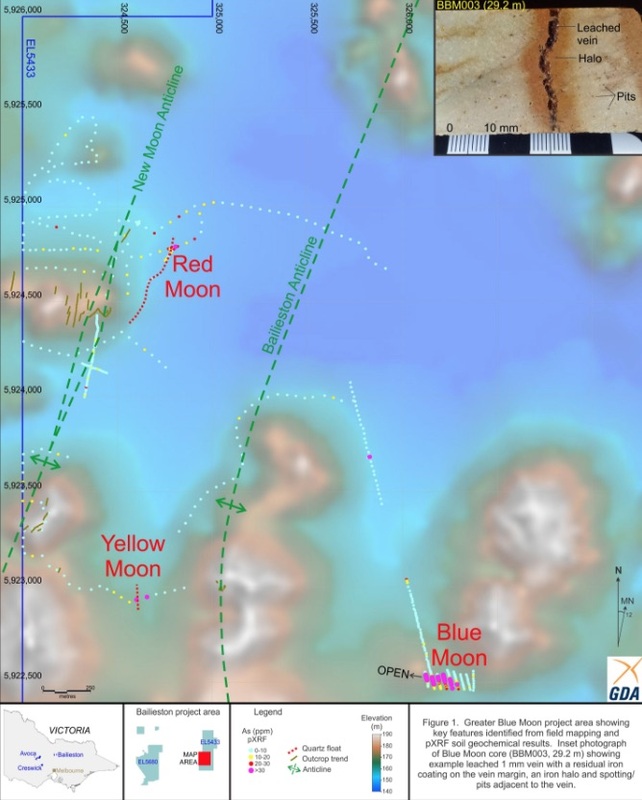 ECR Minerals plc (LON:ECR) the precious metals exploration and development company is pleased to provide a further update in respect of the Blue Moon gold project in Victoria Region, Australia. 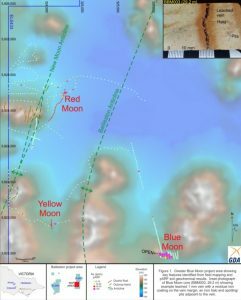 On 3 September 2018 the Company announced the identification of a significant gold target at the Blue Moon prospect and the addition of two new gold targets in the same area as Blue Moon, now named Yellow Moon and Red Moon. the location of the Bailieston Anticline to the east of Yellow Moon and as shown on government mapping plus a newly identified anticline, named the New Moon Anticline. The anticline is a double fold to the west of Red Moon.